With a full range of scan converters and multi-format converters, Analog Way can meet the needs of the most exacting TV studios, production and post-production facilities and mobile media systems. Analog Way's high quality and reliable products are essential for TV stations looking for state-of-the-art equipment to convert, upscale or downscale signals. With Analog Way multi-format converters, TV studios can convert SD, HD and Ultra HD in real-time with the best quality image output. They can also select and scale a website window to focus on any region of interest and integrate it into a TV program. 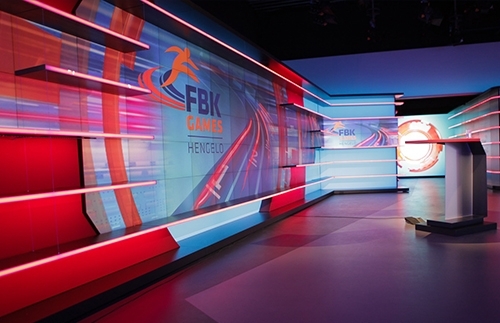 Analog Way's processing and video playback solutions are also key to the design of remarkable visualization systems for broadcast sets. Whether for LED walls, video projection or projection cubes, Analog Way's devices can easily handle and animate multiple sources and presets, coupled with stunning embedded effects. Thanks to intuitive and user-friendly interfaces, the products are easy to configure and operate. 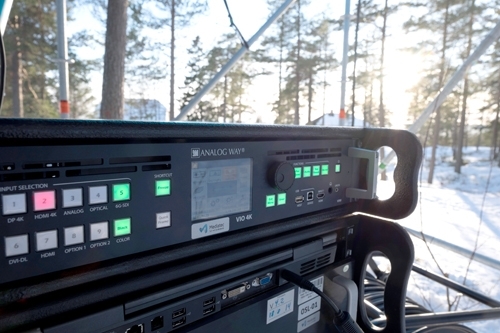 Mediatec Solutions, one of the largest Scandinavian companies specializing in large live production screens for sports and outside venues, managed the live transmission of the Biathlon World Championship with the VIO 4K.